 The physicians at The Children's Eye Center provide treatment for children's eye diseases, as well as, eye motility problems in both children and adults. We provide care for children who need eyeglasses, as well as more serious problems including: amblyopia (decreased vision), strabismus (misalignment of the eyes), congenital tear duct blockages, congenital glaucoma, congenital cataracts, ptosis (droopiness of the eyelids), nystagmus (shakiness of the eyes), optic nerve abnormalities, systemic diseases with ocular manifestations (diabetes, juvenile rheumatoid arthritis, etc. ).